Full release of the Star Wars Battlefront Conversion Pack. Download includes full auto-installer. 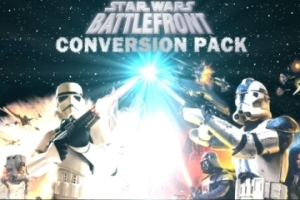 This is the v2.0 full release of the Star Wars Battlefront Conversion Pack. The downloaded file is "ConvoPackInstaller.exe", which is an autoinstallation program. All you should need to do is run it, pay attention to the directions provided in the installation dialogs, and, if you need help, refer to the documentation included in the download (in the GameData\Conversion Pack documentation folder). 5) Read the directions and refer to the documentation. Additional questions may be asked at the project's forum linked to on the right side of the page. Finally It's Out!! I am forever in your guys debt for bringing back some of the greatest maps of all Battlefrontdom. Just ... great! I especially like that carth has sniper shot, and the variety of levels! Youve done alot job with the heros and modifications! Good job! Yeah, I agree that there are definitely varying degrees of quality for some of the player and weapon textures and models - specifically I think I know what one you're referring to when you called one a "stick." Some of the stuff I wanted to touch up I think I ended up actually forgetting to do; I had so many bugs to try and get rid of when I inherited this project. And thanks for the comment on the sides - the KotOR era was my baby; aside from getting some other people to do some of the modeling for it, I did all the work for those sides, and I'm pretty proud of them. Your mod looks awesome, but for some reason the filefront page keeps bugging on me. Please help, since I really would like to play this mod. Then download off of Moddb.com Same happened to me, it should work here. what is the kotor era? not to mention, nihilus feels a bit botched. I feel like Vader should have been used as the base model, both due to moveset and stature. just downloaded the mod 2 secs ago im looking forward to playing this. btw is this mod multiplayer as well as singleplayer? yayy im soo happy i have been waiting for map like these ones. i cant wait till it downloads! How do i install the version 1.1 of starwars battlefront II???? 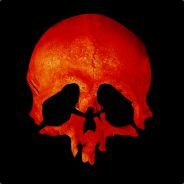 It's Lucasarts' official patch; you can get it from their site. O.M.F.G. ITS HERE, ITS RELEASED!!!!! I'm not exactly sure how different it would have been. Except that we might have less content and maybe some more "accurate" weapons. Of course everyone has their likes and dislikes. Dude, you are a genius, I was having so many bugs with this game, now with this mod (this mod should be an official patch) everything is working perfectly! Thank you very much. You don't "do this" for the X-Box game. Only PC can be given custom content of this nature. Haha It's not that simple. Finally got around to downloading it. Excellent. You can still install this into a 1.0 (unpatched) game, but localizations will be messed-up. Hey dude, after I installed it, it keep crash-to-desktop and some information goes [NULL]. I've install it to addon correctly, how do you fix it? That comment is from 3 years ago. . .
anyways i still think that getting mods for the Max Payne PC games are pretty fun including EOS, Cinema, Max Payne goes to College, Max Payne Chronicles, Kung Fu, etc. But getting Battlefront 2 mods are also kinda fun.